This article is going to go through how to set up page conditions within your Survey. 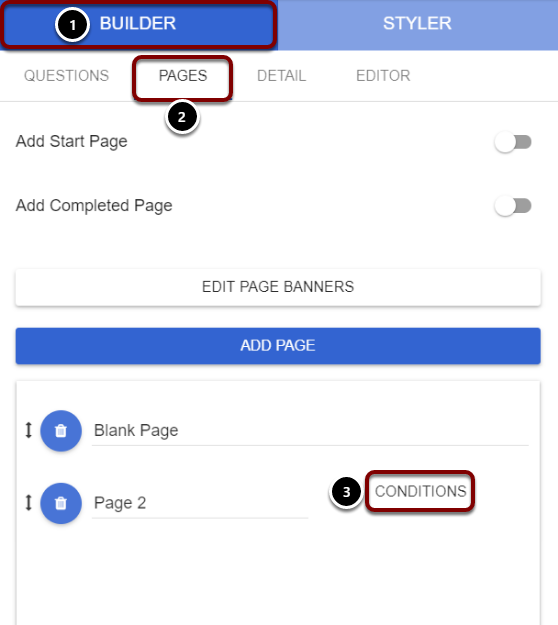 Page conditions allow you to send contacts down different routes based on their answers to previous questions. 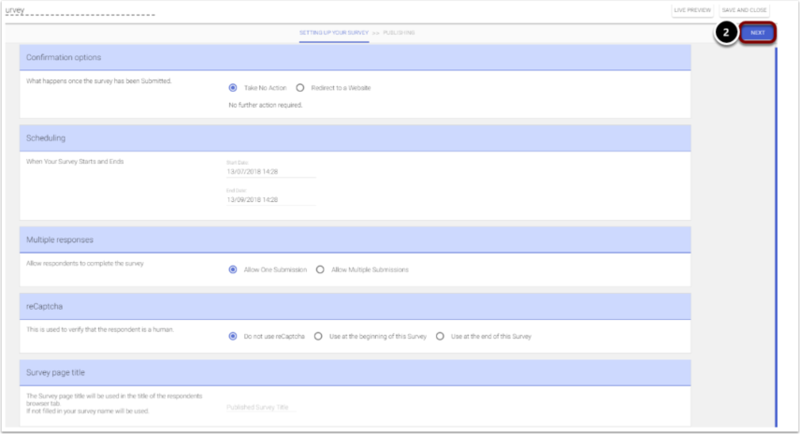 Select the Builder section of your survey . Add a Rule (you can add as many as you need). 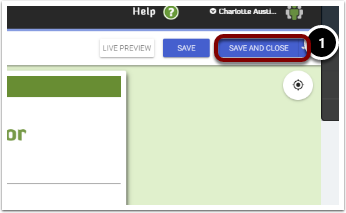 Click on the drop down you can set to read 'ANY' or 'ALL' rules. Select the Previous Page in which you are setting the condition up for. Select the Operator e.g. 'Is Equal' or ' Is Not Equal'. You can delete the condition if you need. 'Done' will save the conditions set up and take you back to your survey. Save and Close to move onto testing stage. Please Note: You are not able to test page conditions through the Survey 'Preview' button. 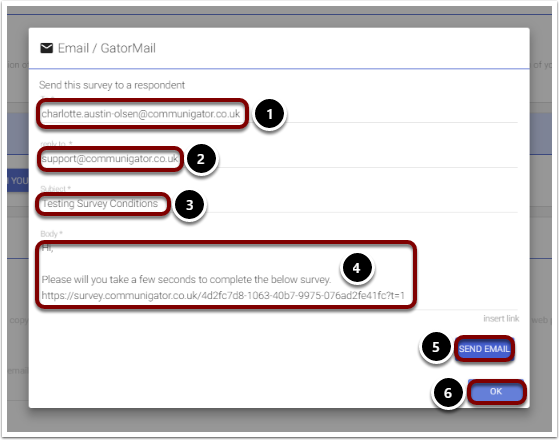 Please follow the steps below on how to test your survey. Select Publish on the Survey you wish to Test. Please Note: The below details will need to be edited before you make your survey live, but isn't necessary for the testing stage. Select 'Direct Test Link'. This will provide you with a link to test the survey in your browser. Enter in the email address to send the test email to. Enter the Reply To address. 'Ok' will close the window.